Painting a few walls or a few rooms in your home may seem like a quick and easy task, however, there is a lot more work than meets the eye. When you hire painters in Chicago you can let the experts do all the heavy lifting for you. There is no need to pay for brushes, paint covers, tape, etc., your team of experts will provide all of the supplies you needed. Before getting started with your team of experts, it’s important to put some thought into the work you are having done. Often, homeowners think that choosing a color of paint is the only decision that needs to be made when painting their home. Below are 5 paint style tips to consider before your professional painters in Chicago get to work. Tip #1: Paint an entire room the same color, even the ceiling. When you leave a white wall it tends to make the room feel even lower than it really is. If you are planning to use a dark color, this is especially true. Tip #2: Discuss with your professional painters in Chicago using the same color paint as your furniture. 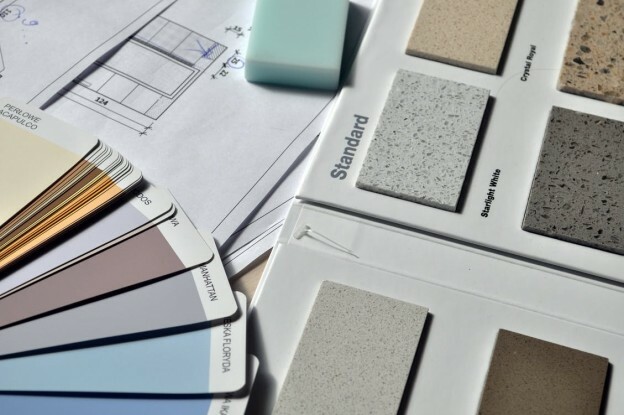 In order to make sure the paint color you choose closely resembles your furniture before painting, our team at Fortune Restoration provides color testing. Tip #3: If you are planning to paint the floors in your home, consider a DIY project of painting your rug. Tip #4: Don’t forget about your molding! Painting your molding the same color as the ceiling and walls will create the illusion of height. Tip #5: Another great way to create more height is to have your painters in Chicago paint a room using 2 different finishes. If you are having one wall painted with a glossier finish, paint the other with a flat finish. Ready to get started? Contact Fortune Restoration today for an estimate. This entry was posted in Painting on June 28, 2017 by admin.